BILLINGS – The Captain Clark Fishing Access Site on the Yellowstone River east of Pompeys Pillar is closed to vehicles after flooding damaged the access road and a culvert collapsed. The Montana Fish, Wildlife and Parks site remains open to walk-in access only until repairs are made. It appears that an ice jam in the Yellowstone River diverted water into a side channel that runs near the site this week, forcing water onto the roadway and washing away much of the gravel base. In addition, an old steel culvert collapsed, making the road unsafe for motor vehicle travel. 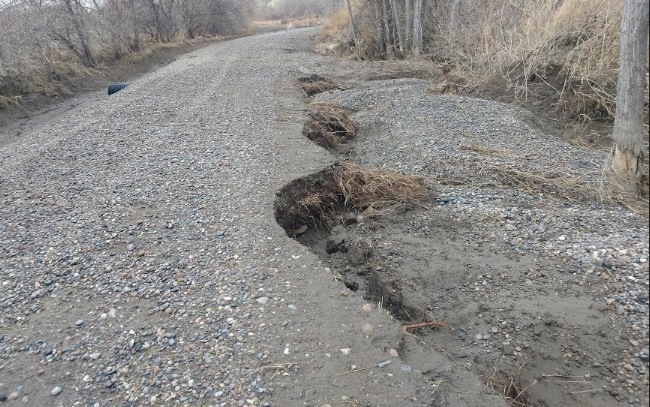 FWP crews believe they can repair the damage within the next week and will reopen the site to all traffic when their work is done.